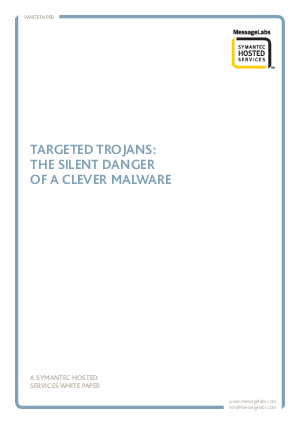 This paper will discuss the history and progression of the modern Trojan attack. It will explore the methodology used by hackers in selecting a target and developing a compelling attack and will cite several examples of some successful targeted Trojans. Finally, this paper will look at the Symantec Hosted Services MessageLabs&trade; Complete Email Guard solution and how Symantec Hosted Services can help protect an organization against targeted Trojans in the future.